DarkSide-50 may be the most promising research and detection facility on the planet for hunting the elusive and often invisible properties of Dark Matter. The DarkSide Detector is showing the potential of the argon-based technique to spot traces of dark matter. Overall, it’s one of the most promising endeavors in the search for this elusive entity. The double-phase argon method is one of the techniques pursued to detect Dark Matter’s theoretical particles known as Weakly Interacting Massive Particles (WIMPs). The technique assumes WIMPs can be detected as they collide with ordinary matter particles, using underground terrestrial equipment to eliminate background noise caused by cosmic rays. In this regard, the Darkside project is the most elaborate large-scale initiative aiming at directly detecting non-baryonic matter and is building a series of argon-based detectors in Gran Sasso National Laboratory in Italy, inside what once was a gold mine. The first detector, Darkside-50 (DS-50), is buried 4,600 feet deep under a mountainous region. As its name suggests, it contains 50 kg of pure liquid argon in a vat, technically called a time projection chamber (TPC). To suppress any residual radiation, the argon in DarkSide-50 is also double-shielded inside a sphere containing 30 tons of liquid scintillator. This, in turn, is put inside a chamber filled with 1,000 tons of purified water. Scientists will know if they have something at hand when they detect flashes of light, an indication that the nucleus of argon atoms have been hit by particles, hopefully WIMPs, as they excluded any other possible signals that could mimic WIMPs, like from neutrons. The high sensitivity of DS-50 is all about its ability to distinguish between “WIMPs signals” and signals caused by other ordinary particles. In a way, DarkSide experiments teach physicists what dark matter is not by eliminating events caused by particles that could pass as dark matter’s imponderable particles. International scientists working on the project think they’ll know when they catch WIMPs. Part of this confidence comes thanks to the contribution of Andrea Pocar, Assistant Professor of Physics at the University of Massachusetts at Amherst, and his students. The UMass Amherst team have designed a grid that’s a critical component in the DarkSide-50 detector, and have been key players in the development of the project from the outset (2009). Earlier this year, Pr. Pocar and his team presented their work at the Dark Matter 2018 Symposium, held last February at UCLA. According to Pocar, the DarkSide detector has, overall, shown “great potential” for detecting what physicists call “heavy WIMPs“, believed to be 100-10,000 times more massive than protons. The specificity of DS-50 and their research, however, comes from the ability to search for “low-mass WIMPs“, those only 1 to 10 times as massive as a proton. 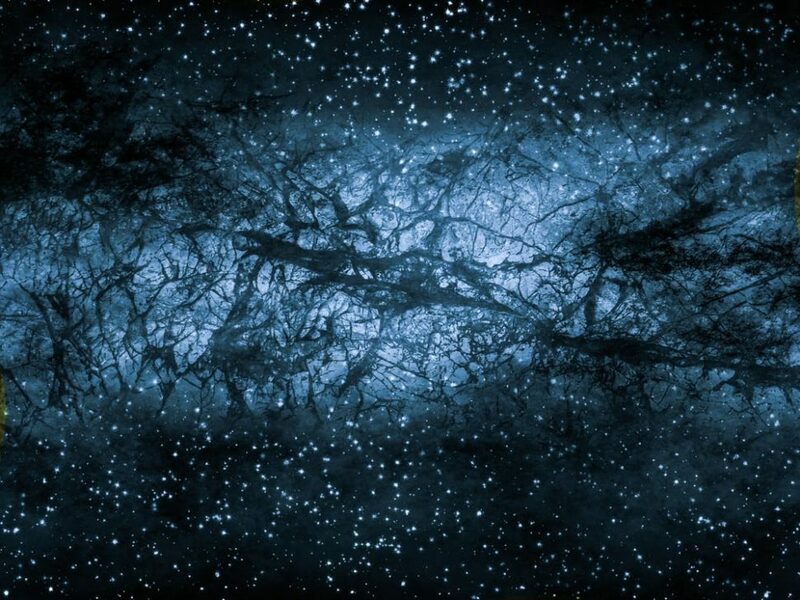 Could underground experiments be more potential at validating the existence of Dark Matter than space-based projects? What is the Fifth Force of Nature? Dark Energy Causing Universe to Expand Faster?